I got a new baby today. His name is Reginald, aka Reggie. I think his mane will one day consume him. 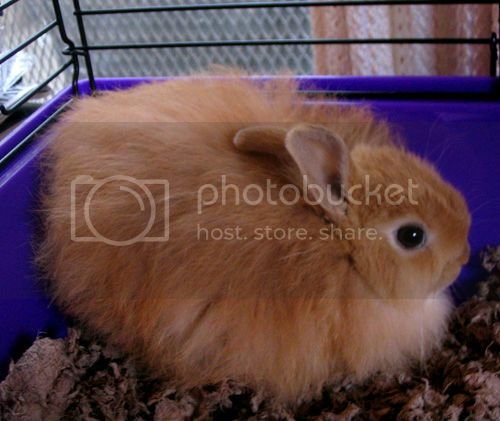 He is a Lionhead, approx. 7 weeks, most likely male. He was pretty scared for a little while, but he's drinking and eating and hopping around a bit now. I haven't had rabbits in quite a while. I usually have some help from my grandparents in taking care of animals, but I'm gonna try to care for Reggie myself. AND SPIDERBITCH TONIGHT! Today has been a day. Ohmygod. He is ridiculously adorable. His nubby nose!! Sooo nubby. He likes standing on his hind-legs and wiggling his nose at me. I love its eyes they are like windows into the fount of cute. I hope that you enjoy its company, yay pets! Did you find him or adopt him or buy him? I wanted to adopt, but I wanted that particular breed and there weren't any of them up for adoption. 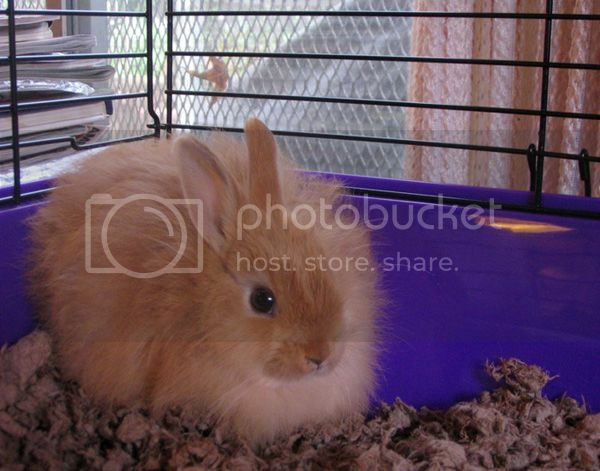 I bought him from a pet store near Michael's house. 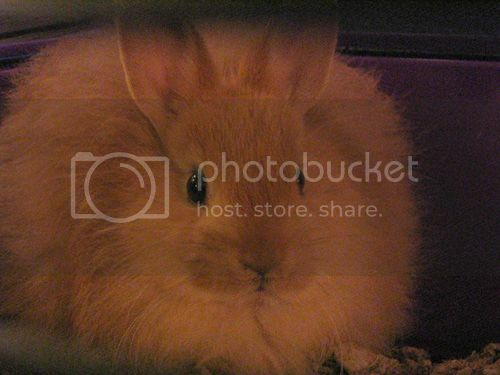 He is a veritable ball of fur. He does have that goin' for him.